Still, good news for PSVR owning Rick and Morty fans, as Sony have announced that 2017's Virtual Rick-ality is now available on the PlayStation platform. 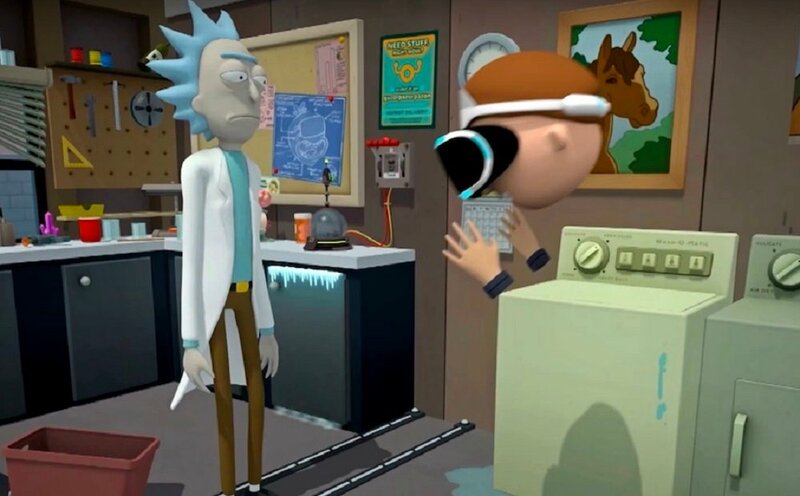 In the game, players control a clone of Morty, and must explore the universe while performing tasks, guided by nutso scientist Rick Sanchez. The game has also received a physical release, available as a standard edition for $30 or a Collector's Edition for $50. The latter includes a double-sided poster (featuring an amusing Last of Us pastiche), a tie-in comic-book and one of those soulless Funko Pop figures featuring "Weaponized Rick". Rick and Morty: Virtual Rick-ality is available now on PSVR, Oculus Rift and HTC Vive.